David DiLillo’s multimedia artwork has been included in exhibitions at the Museum of Modern Art (MoMA), Calumet Photographic, Anthology Film Archives, Museum of the City of New York, State of the Art Gallery in Ithaca, Bottleneck Gallery in Brooklyn, Art Takes Times Square, Liverpool Lift-Off Film Festival, on SICTV, and in a wide variety of other galleries, festivals, and publications. He also works as an art instructor and as the Co-Founder/Co-Director of Aquehonga Cinema, a Staten Island community film series. 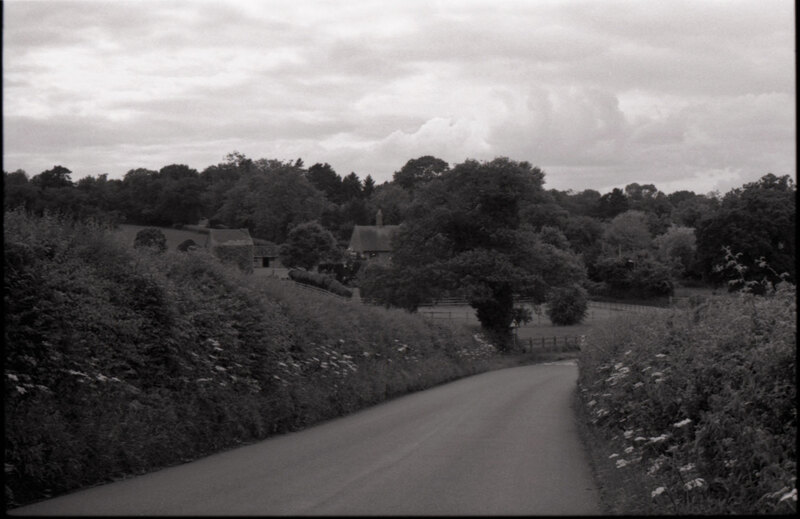 During his interview on Critique Collective, DiLillo illustrates his recent trek to Tanworth-in-Arden, where he documented the town that cult-music icon Nick Drake lived in. Further images of DiLillo’s artwork can be found on his website. When did you originally find your interest in working as a multimedia artist? The exact point in time is hard to pin down. I’ve been shooting photographs since middle school and drawing long before that. I’m immensely lucky and proud to come from a family of photographers and painters on both sides. They taught me that visual art is not only an important act of expression but also a form of preservation. I grew friendlier with a slew of diverse artists during my time in school and beyond who fiendishly got me involved in film production, sculpture, humor illustration, and other mediums. I love creative collaboration, but I also have an often-overwhelming amount of interests and passions, so I try to have my hands in many projects at once. Who is Nick Drake, and how has his music impacted you? When a close friend first showed me Nick’s music years ago, I devoured it obsessively only to find myself continually rediscovering new layers up to this day. Nick Drake was born in 1948 in Burma and grew up in Tanworth-in-Arden, a small hamlet in Warwickshire, England. His music never gained the recognition or visibility he desired, and he was eventually stricken with depression. Nick mysteriously died from an antidepressant overdose at the age of 26. You can read a lot about the details, either known or rumored, about his tragically short life, about how he didn’t quite fit into rigid British norms of the time. What speaks to me most is this: Nick had an almost mystical ability to communicate timeless meditations on love and nature, and I’m one of many who deeply relates to his thoughts and struggles. But I believe he was just trying to share his mind and heart with others in the best way he knew how. His music never gained the audience and response that it deserved, and he was eventually overcome with depression. His lyrics shifted between cryptic psalms and beautifully descriptive accounts, and his guitar style blended English folk, American blues, and even Eastern tonality later on. Nick’s fragile music and words of romance and universal connection have consistently given me new eyes to see myself and the world. Do you consider your Three Hours from London series to be a documentary, narrative, or more conceptual sort of project? The phrase Three Hours from London comes from one of Nick’s darker songs about escape. 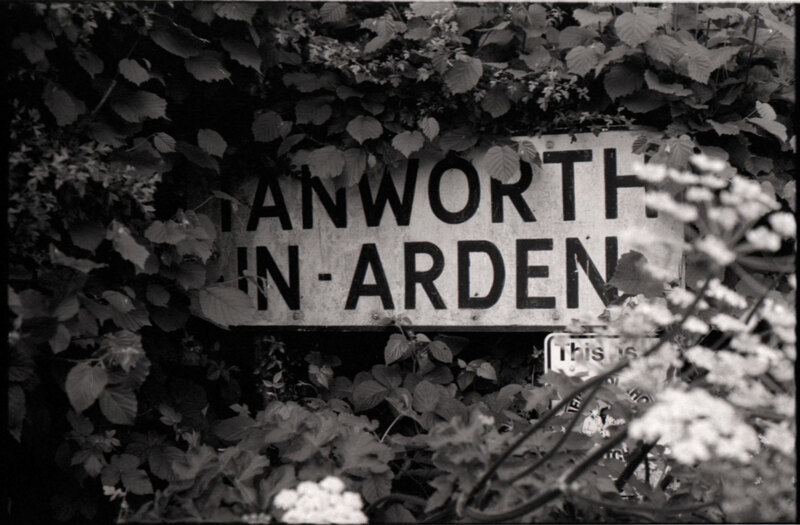 Interestingly enough, it took me about three hours by train to get to Tanworth-in-Arden from the English capital. When I stayed in the village, I solely listened to Nick’s music and shot without a strict objective in mind, which was a bit non-academic and liberating. I was writing, too, but the series is a very personal visual journal of sorts. 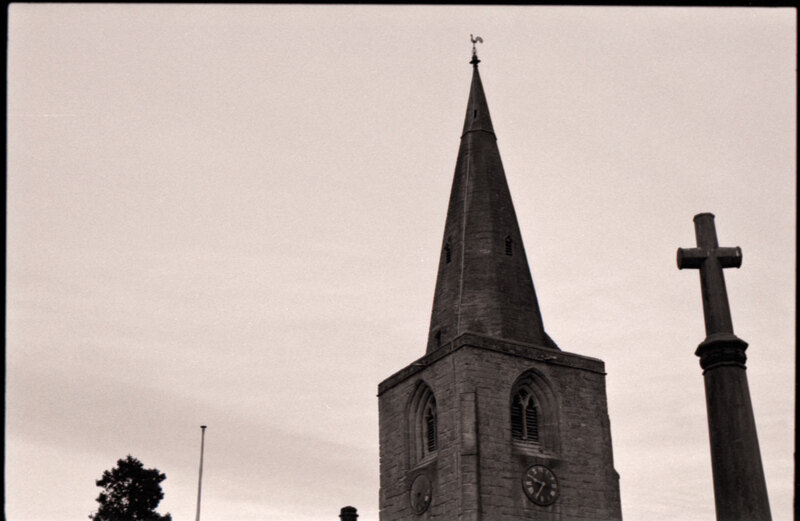 It can act as a narrative if certain lyrics of Nick’s are paired with particular images, and it can act as a documentary piece about the town and surrounding areas. I shot in black and white to evoke the time in which Nick lived, though – to use another of Nick’s lyrics, a time of no reply. By visiting Nick’s final resting place, I had the chance to bridge the chasm of decades and feel like I was meeting him. I like the idea of trying meet a dead artist and experience the town he lived in. 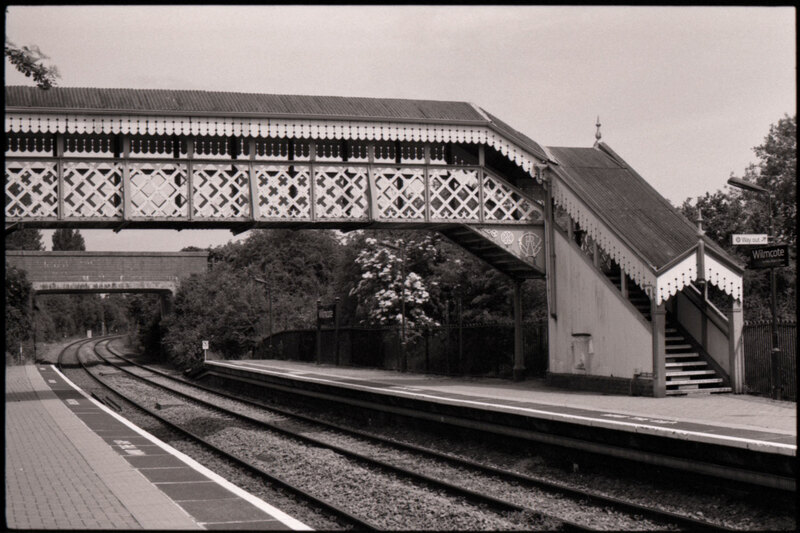 When you were in Tanworth-in-Arden, did you meet and discuss Nick Drake with any of the locals or was this more of an immersive experience of everyday life in the village? I spent a large amount of time hiking the area in solitude, unplugged from most technology and my common distractions. I attempted simply to observe and document what was around me – the shades of leaves in the afternoon, the sounds of children playing in the distance, the brushes of wind from the hills. My immersion seemed sacred, familiar, and rustic all at once. It reminded me of Nick’s songs of isolation. This wasn’t a negative feeling but more a type of connection with the graves and green pastures and people around me. In a strange and welcoming way, this demystified the idea of idolizing a musician whom I’ll never truly know and instead helped me to deepen my understanding of him as a young man who lived a vibrantly creative but far too short life. I was also completely warmed by meeting and talking to those who lived and worked in town. They were brilliantly and immeasurably kind-hearted, open-minded people. 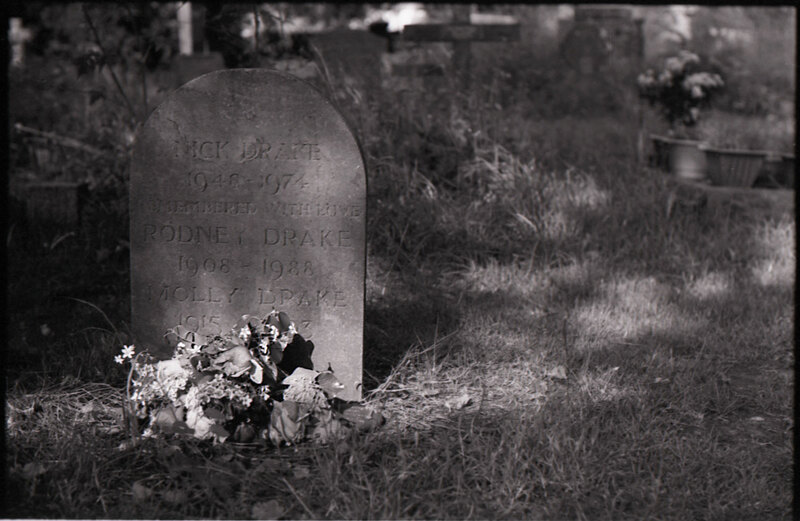 Many patrons at the inn heard my accent and might have assumed that I had come to visit Nick Drake, the singer buried among their many other loved ones and friends. 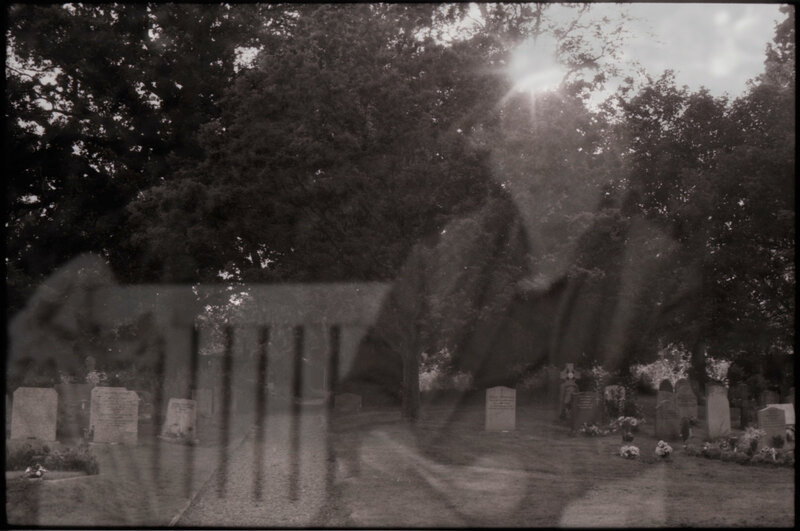 One day, in the cemetery, I met a man sitting on a bench close to me where his wife and he used to sit together. He was there in remembrance of the woman he’d spent most of his life with, and I felt as if I were remembering a man I’d never met. We spoke for a long while, and it was a bond I’ll always cherish. Are there any particular songs that you used as inspiration? Beyond “Three Hours,” the song “From The Morning” was especially resonant with me. 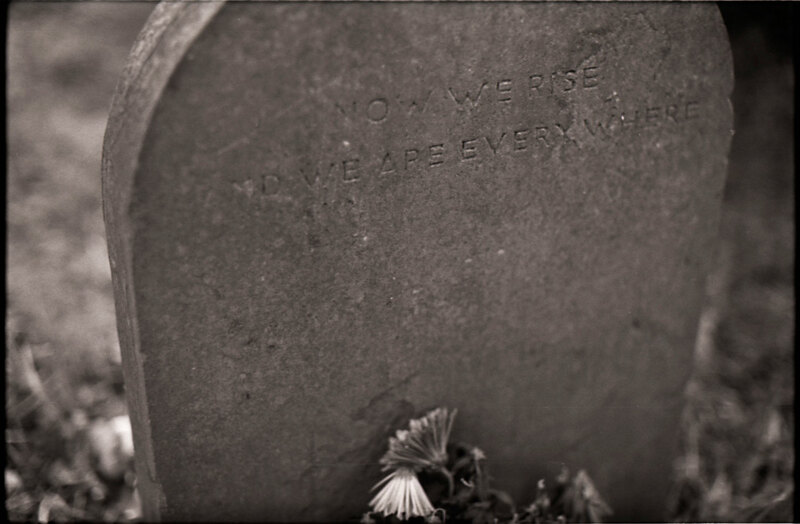 It’s the final track on Nick’s third and last album released during his lifetime, ‘Pink Moon,’ and its lyrics are engraved as the stark epitaph on his tombstone: “Now we rise / And we are everywhere.” Nick’s music is poignantly spiritual, but there are recurring, naturalistic element and motifs without adherence to one single denomination of faith. I interpret this line as a beautiful and hopeful vision of the constantly cycling energy in this world, reborn again and again. From a different angle, the song “One of These Things First” paints a very stark and grounded image of regret. It’s a perpetually fascinating song. As the litany of paths not taken and responsibilities unmet grows, Nick’s somber words float over brightly swung major chords and piano rolls. I view the piece as an admission and apology to those whom Nick might have neglected while still being an enlightened and wise acceptance of the choices he actually made. I sincerely relate and try to reach this awareness. Were you at all surprised by what you saw in Tanworth-in-Arden? I felt like I had been there before in an old dream. 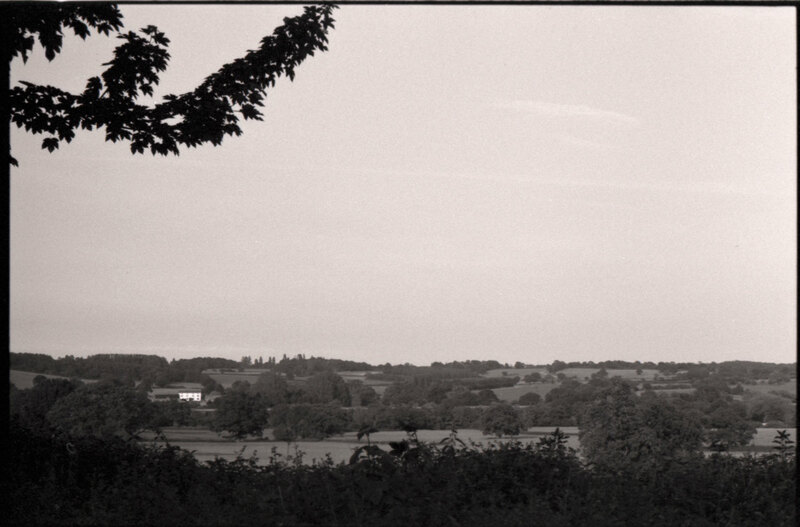 The English Midlands are not unlike the hillsides of eastern Pennsylvania, but the newness of the scents and sounds gave a unique and raw experience. The passing of time, or my perception of it, surprised me. The days seemed long but ethereal and illuminated. 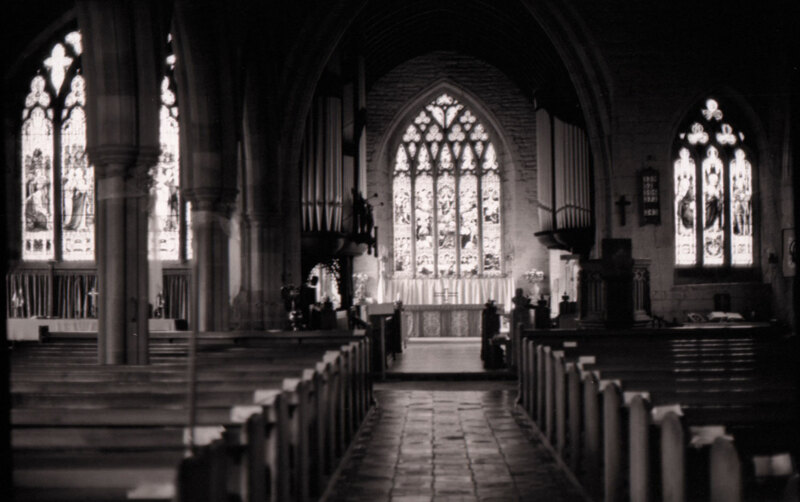 I was rendered stunned by the emotional impact that one individual artist’s work and life could have on me, and I was taken aback by a town not frozen in history on the countryside but, rather, breathing with lives and stories that come and go. Was this series shot digitally or with a film process? 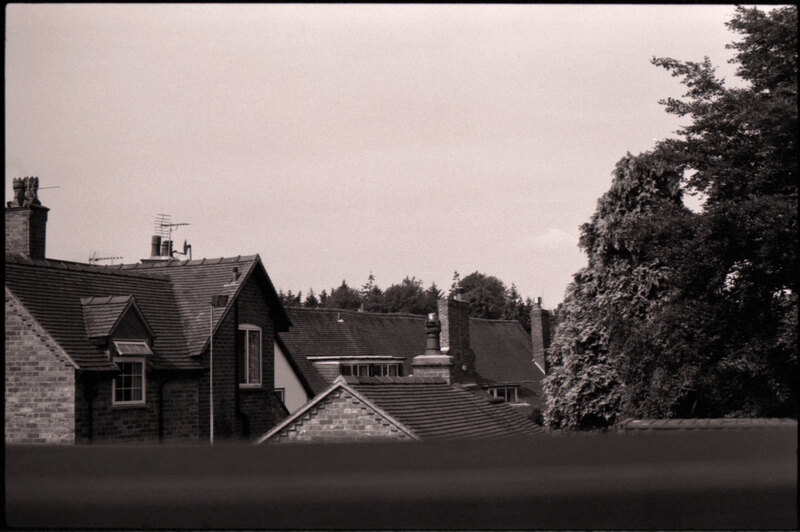 I shot with my father’s Canon AE-1 and used black and white film. I nearly forgot to request that the rolls be checked separately at the airport, an important reminder for all other picture makers and photo takers who still travel with film. I was also collecting digital video footage, but it was important for me to use an older process to shoot this project because of the investment of time and care required. There’s the inherent risk of not knowing the look of images taken until much later, but I put trust in my knowledge with the process and in whatever outcome I’d end up with. Has your project with Nick Drake affected your way of thinking when creating new works? Did you learn anything about your own practice either technically or conceptually throughout this process? 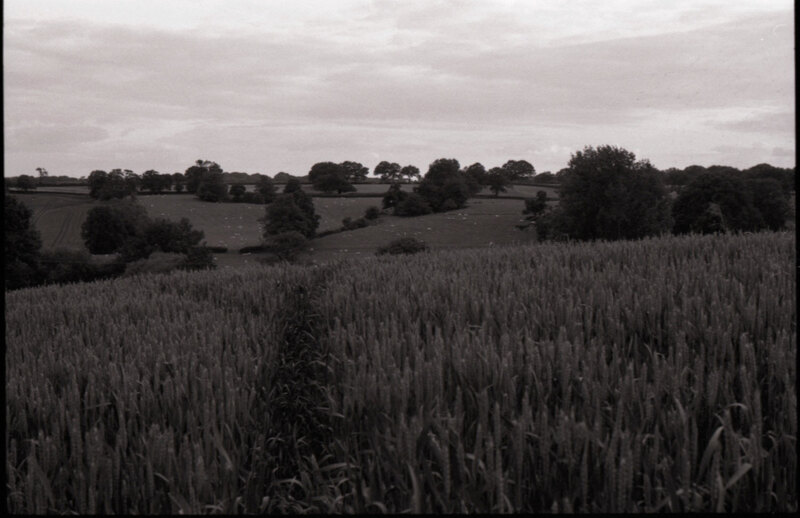 Going into the project, I knew it would be important for me to present the area around Tanworth-in-Arden from an observer’s point of view. Since then, I’ve tried to take the many creative influences I have and make work that can be seen as a reinterpretation of inputs instead of representation and reflection. The isolation of the project and the trip also had its significance and place, but I think I’ve become more drawn to collaborative work in any medium; exchanging ideas with others has become invaluable to me. And I’m still learning to focus less on how a photograph, or any other creative pursuit or piece of art, might fit into the greater whole of an outlined project and more on how I can best genuinely express my own thoughts through art. Please view David DiLillo’s work on hiswebsite and “like” Critique Collective on Facebook at http://www.facebook.com/critiquecollective.